Mobile application development is undoubtedly one of the most lucrative career options in the technology industry of the 21st century. Rapidly occurring digital transformation and widespread use of mobile applications are leading to substantial increase in the importance of respective skill set. Primarily, there are two major mobile OS platforms, Android and iOS. Both of them have their pros and cons, and it is a great time to carve out a career in either of them. 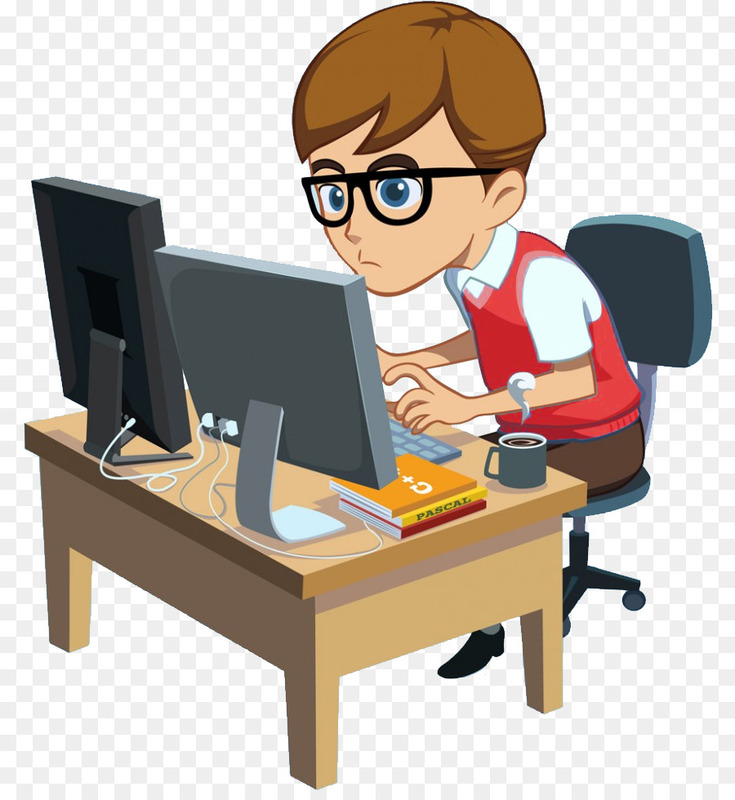 The focus of every developer should simply be on achieving excellence within a definite set of mobile application development programming languages and side tools. It is essential that you have a clear understanding of the end-to-end technology stack which you consistently use to create mobile applications. It would help if you focus on ensuring the completeness of the set of tools which form the basis of overall skill set. Why is Mobile application development a strong choice of career for millennials? It is evident that most of the young businesses are taking their mobile presence very seriously. Today, companies from all industries (whether small or large scale) wish to be the experience digital transformation. They wish to be seen on smartphones in the form of mobile business applications. It is a trend that doesn’t seem to have a huge loss and is most likely to carry on in the future. As the new businesses will take their smartphone-based presence more seriously, they hire Android app developers giving more and better opportunities. With more than 52% of e-commerce related searches happening through the smartphone channel, mobile application to become one of the best ways to reach your customer. It supports you in persisting in their mind; and on smartphones. All businesses are increasingly looking to reach out to their customers through smartphone channels via mobile apps and persuasively sell their products and services. It is one of the most reasonable needs of the business in today’s time. It makes so much sense for the mobile application development companies to hire Android app developers. The growing competition among businesses is surely shrinking their profit margins. 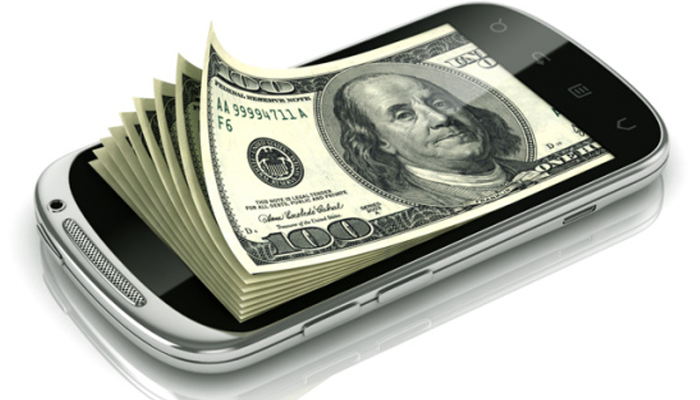 Monetization of content and services through mobile business apps is a sigh of relief to business owners. It is undoubtedly helping them create sustainable distinct ways to monetize. It creates sustainable distinct revenue streams that are nascent and helping them compete more efficiently in the throat cutting competition. All this requires development and maintenance of mobile applications on iOS and/or Android. It gives rise to so many new opportunities in every iOS app development company. Mobile application development is a beautiful mix of technical skills and creativity which need to be well coordinated with businesses and their primary needs. We have bifurcated the vital skills for mobile application developers into hard and soft skills. Android mobile application developers generally have to deal with core Java while making their applications in Android Studio. It also includes in-depth use of many side tools like Gradle for rolling out APKs and XML for designing of UI and imparting a complete UX for the mobile application users. 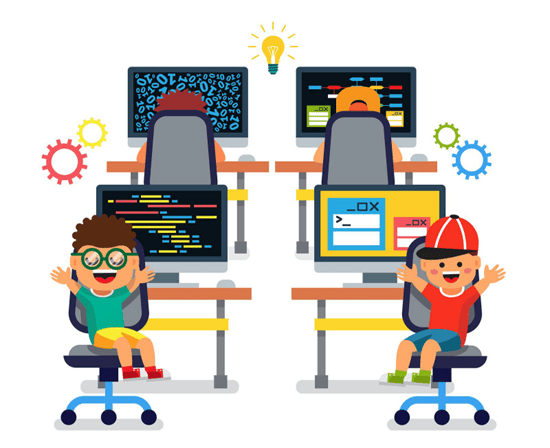 While developing the core skills, it is essential to know programming languages to an extent where your problem-solving abilities are not curtailed because of coding hurdles. iOS developers should be entirely well versed with Objective-C, Swift and new-age programming languages like Kotlin. Knowing more than one programming languages certainly helps in building a profile that stands out while applying in an iOS app development company. MSMEs generally hire Android mobile app developers with honed skills for cloud computing environments. You should be able to bind the functional code into applications. It is a much-needed dedicated skill which generally requires another engineer. If the mobile application developers can do this, it undoubtedly increments their ability and their importance in the mobile application development scenario. These days there is a growing trend of serverless architecture where deployment is containerized through a Docker (CE or EE) or Kubernetes on massive scale. These are valuable side skills which clients look for while hiring an iOS app development company. 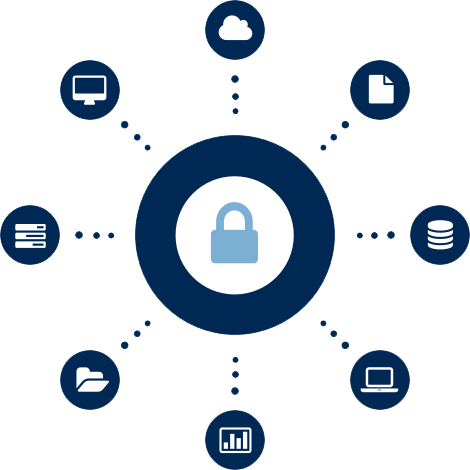 As data is proving to be the new age ‘oil’ it is crucial that mobile application developers have an in-depth knowledge of Internet-based data and API security. They should have detailed experience in securing mobile applications, users identity, and data privacy. Another critical task is to secure APIs from programmers with malicious intentions to trouble the users and make them land in compromised circumstances. It can be done by nurturing a working knowledge of all basic encryption algorithms and third-party mobile app security tools which can be incorporated in the mobile applications. 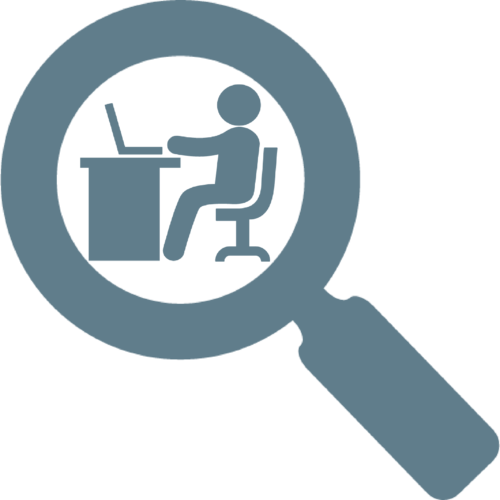 One of the most important and frequently used features in a mobile application is the search. Weather search is in a database or within a content delivery network (CDN). It is one of the primary indicators of how well an app works. If your search is fast, people generally tend to feel that the app is robust and performance is excellent. 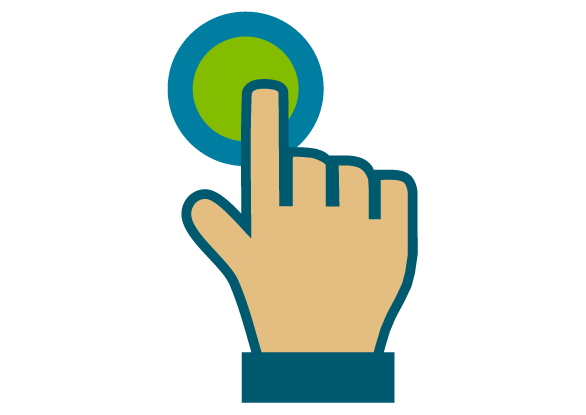 So to improve the user experience, it is essential to have hands deep in at least one of the prominently used Lucene based searching tools like elastic or Solr. There are some impressive efficient searching architectures like Algolia which can come in handy depending upon the use and required scalability of a mobile app. Nowadays. Companies hire Android app developers who can professionally incorporate at least the necessary analytical profiling of users and also use analytics-based service log management system. The ultimate aim should be to build a sustainable back-end resource for the mobile app which gives valuable insights for customer engagement and also give statistics of mobile app performance. It is entirely different from the analytics services discussed above. It is the analysis of core business requirements and its mapping with the mobile app functionalities. MSMEs wish to work with an iOS app development company that map each use case with the main features of the mobile application. People hire Android app developers who have enhanced problem-solving ability with an aim to make robust, quality driven tested functionalities. There are numerous ways of approaching a single business requirement, and they should use the most appropriate data structures and coding approach for solving their particular problem. Reducing the LOC or lines of code should be one of the primary points in mind while writing the functional code for functionalities. The overall front-end and back-end. The shorter and more concise a code is, the faster it is likely to run (on a broad basis, it is not true in many conditions). One of the critical task for all mobile application developers is to build, curate and initially design the UI of the mobile app. A mobile app is only as good as its UI for layman. So, it is essential to be as creative as possible while designing the flows of content and different parts of user journeys. Mobile application development is one of the most popular and lucrative career options in the technology industry. It is being taken up by millions of IT professionals, and there is a growing trend of professionals from different sectors taking up dedicated skill development courses of mobile application development. It helps them in making a switchover in jobs. There is much competition. Due to a large number of options available for everyone in the market, the mobile application developer should look to build their core differentiators in quality, quicker turnaround time and business oriented thinking. 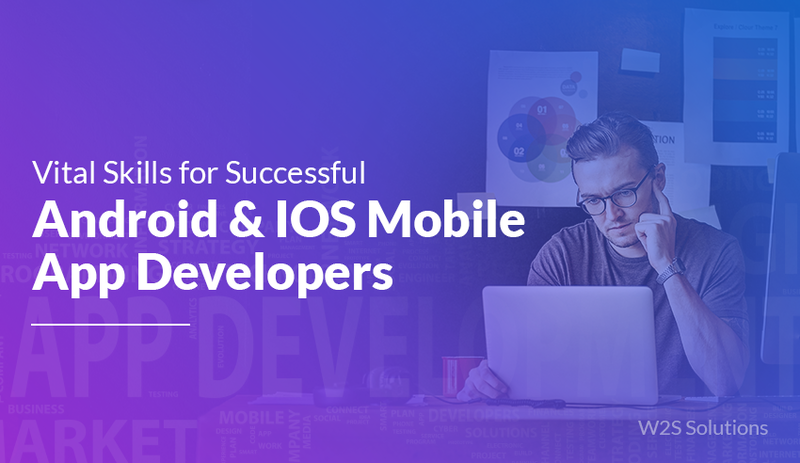 There are immense opportunities on the way as companies hire Android app developers and substantial encouragement for every iOS app Development Company in the business ecosystem. Smartphones have mesmerizingly captivated the millennial generation. The major contributor is mobile applications. The era of digital transformation is convincingly ushered by an ever-increasing base of smart, vigilante smartphone users. Comparatively lower prices and all-round connectivity of Android smartphones had created a momentum, but slowly the iOS has taken up the faster lane. 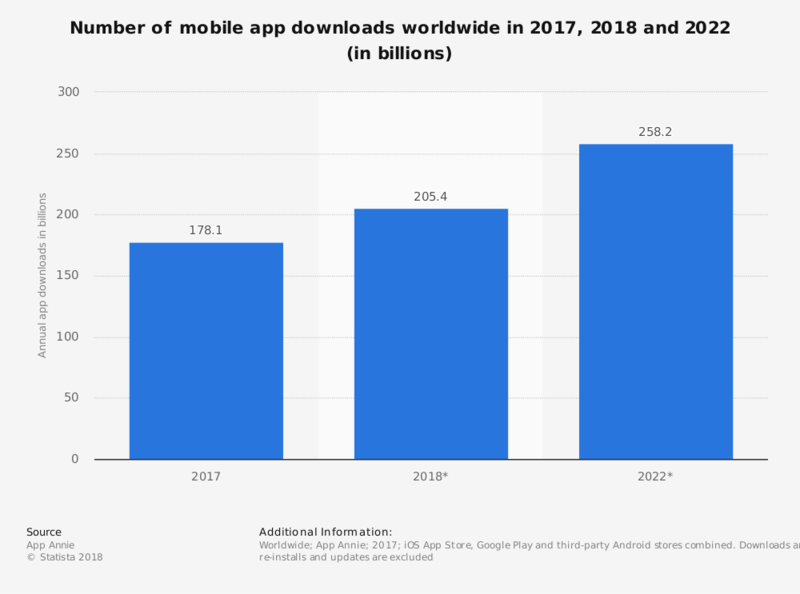 While the number of mobile phone and mobile phone apps users have doubled since 2011, a larger share has been contributed by iOS apps. In a perfect set up like this, there arises a world of business opportunities with a million possibilities. The first and foremost industry directly benefited is the iOS mobile application development. Although the prices have been continuously increasing, the enthusiasm and attraction magnetized by every iOS mobile application Development Company have never slowed down. With numerous other industries finding their way through stability, widespread use of iOS mobile apps has helped the industry transform in a particular direction of sustainable growth. Now it remains a matter of time to reap the fruit of this swiftly matured iOS mobile application development industry. It is one of the most common mistakes done by the newcomers and inexperienced enthusiasts. 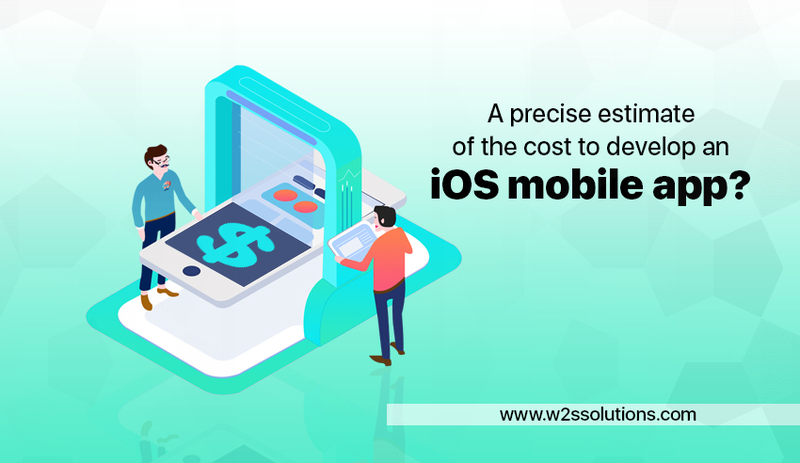 According to many, the overall iOS mobile application development cost is just about precisely estimating the number of hours and development and multiplying it by the market cost per hour. It has to be understood that it gives you a significant estimate of the total value for building an iOS mobile app. However, it is not a precise figure which you will be eventually shelling out. Mobile application development needs to be though not on a phase by phase basis but from end to end requirements. A whole thought-through project for an iOS mobile app is more likely to succeed in this dynamic trending industry. One needs to understand that there are numerous pre-and post-development budget heads which will require a substantial chunk of your budget. In the pre-development phase, mobile applications will have a requirement of money for research and in-depth analysis by quality driven individuals. Moreover, once the conditions are fixed, the post-development phase will require you to burn cash for publicity marketing, client attraction, and active engagement. Why can an Indian IT company do you a world of good? The transformation witnessed in smartphone-based mobile applications isn’t localized to the Indian subcontinent. The primary drivers of the mobile-centric digital change are several European countries and a significant influence in the form of the US. The North American region primarily constituted by the US and Canada are considered to be charging a lot more regarding per hour iOS mobile application development rate. It is seen that the rates largely vary from $75 to $250 per hour. Next on the list, western Europe or the UK centric region. This region is responding to iOS mobile application development projects with an upper bound of $175 per hour. A little bit on the cost-effective side comes to Eastern Europe. They can charge you anything from $20 to $150 for every hour of iOS mobile application development. Surprisingly, the high-tech industry of Australia is experiencing similar pricing trends as eastern Europe. Then comes Indian IT industry with millions of quality iOS mobile application development enthusiast. The great churning industry is welcoming projects from as low as $10 per hour and generally reach up to $80. Which factors can shoot the cost? iOS mobile application development is not something as simple as it looks. The client cannot just walk up to development professional or a company and ask how much you will charge on a random basis. There are many factors which are independently contributing to increasing the cost in leaps and bounds. The complexity and innovation in your requirements largely define the cost involved in the iOS mobile application development. Apart from this, there is a time material cost trade-off. In simpler words, if you need your mobile application to be developed in lesser turnaround time, you can expect your overall cost to shoot up by 15 to 20%. Another significant aspect which is the reason for your increased cost is the development approach taken. In today’s world where most mobile applications are into changing their path with a typical product life-cycle management program, the prices ought to increase. In a scenario like this, there lies a dire need of techniques like wireframing, visual designing and prototyping which can take up anything between 80 to 200 extra hours in your development plan. 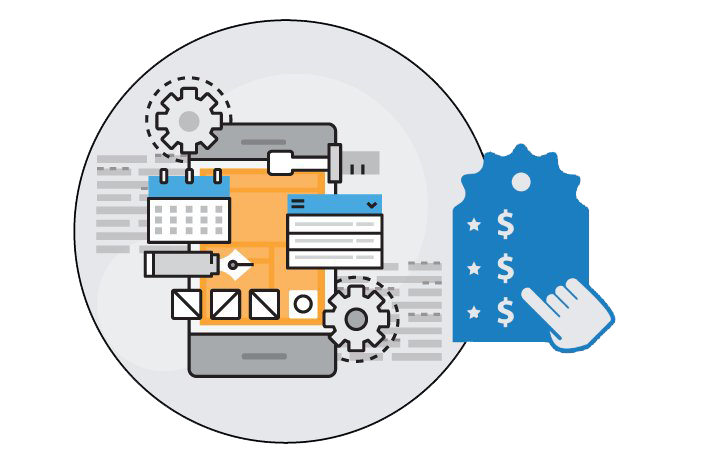 Peeping through a developers perspective, the solution architect needs to configure the overall process for an optimized iOS mobile application development cost. The primary time and cost consuming activities while developing the mobile application are things like third-party integration, IOT interfaces, complicated access pacifiers, and back-end functionality development. It all collectively ranges to increase your cost by numerous folds. The Indian IT and smartphone application industry are flourishing without a doubt. At the same time, there are some threads connected to the Indian start-up ecosystem which is being pulled up by mobile apps. The boom of the start-up industry has got angel investment and venture capitalism in trend. While there is numerous funding news now and then, only full analysis can tell you that the overall financing raised, has only a slim portion of it involved in the mobile application development. Thus, there we put up a working example of how the numbers of funding are far from what it costs for building a first iOS mobile application. The larger than life difference says a lot about the investment in strategy, research and innovation-driven operations. The Indian IT industry has wholeheartedly welcomed Mobile phone application development. It might not seem so apparent with the naked eye, but this has some serious and strengthened strings attached with the start-up industry and the SaaS companies. Mobile application development is not as apparent as it might look. A lot of direct and indirect variables are involved in the equation of iOS mobile application development cost. It requires an experienced solution architect to draft the budget and then choose the right iOS mobile application development company. iOS mobile application development has caused a severe uproar in the mobile app development industry. iOS apps have seen some severe improvements due to conducive competition between Apple and Google for developing native mobile applications mainly on Android and iOS. 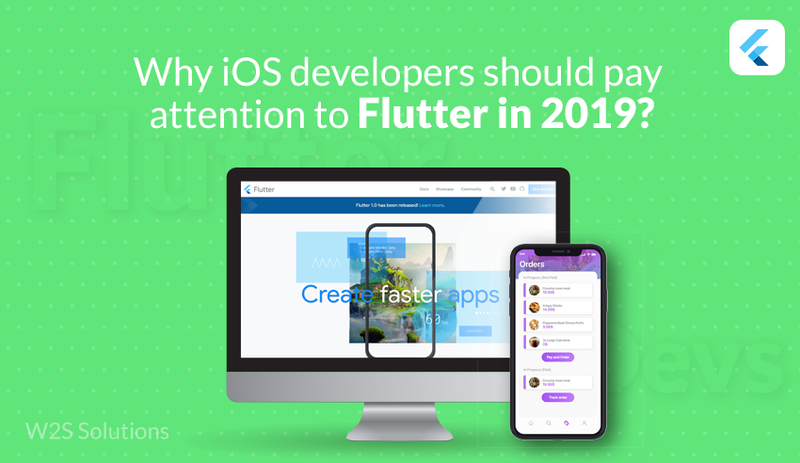 The valuable proposition of Flutter has surfaced among Indian developers because of its branding and the curiosity about native iOS mobile app development tool for Fuchsia. It is one of the recent attempts by the tech giant Google to build a more reliable, user-friendly operating system for mobile phones. Flutter is a great deal of popularity which Google is expecting to make millions of fans in the market. The progressively built mobile OS is expected to compete with iOS in its reliability, user-friendliness and hardware-software integration. So, to create a user base and track activity in the similar space, Google has practically ruled out Flutter to gain popping eyeballs. What is makes it a significant prerequisite? Flutter is an altogether different ecosystem of development and digital space being presently developed by Google. The company has chosen the Dart programming language because flutter has a compilation engine called the Dart Compilation Software for the lighter footprint, higher usability and least failure probability. The newly used language Dart is highly interactive like Python, Swift. 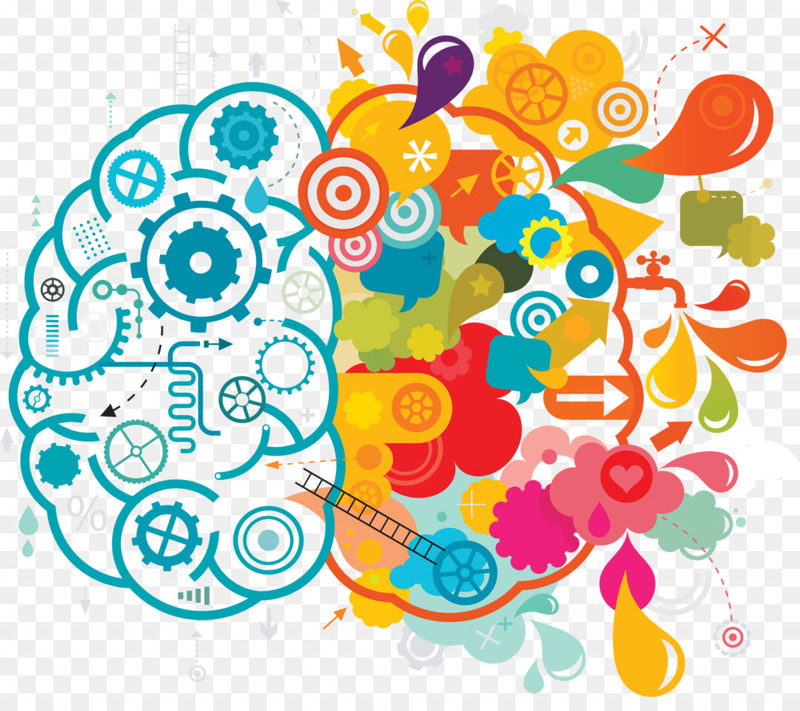 It is a jack of all trades but there is a specific inhibition exhibited by tech savvies. 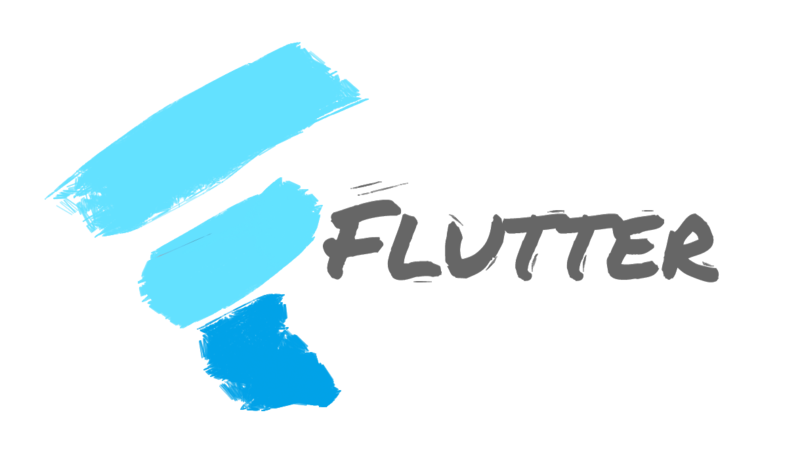 Existing flutter developers created the market for motivating others to use the highly efficient SDK. Flutter allows compilation of iOS apps in its native environment. The Android applications are compiled in pseudo virtual environment which is set up on the platform. Effectively, even android mobile app development is not native to Android. Flutter is gaining more than expected attraction because it is helping developers cut down on the overall development time. Now, developers are in a favorable position to use approximately 50 to 70% of their code for both iOS and Android mobile apps. It is a great matter of convenience for maintaining uniformity in functionalities and achieving similar high performances on both platforms. Another significant aspect of convenience in development by Flutter is its ablility to reload the development environment in less than two seconds. Yes, it might sound a little exaggerated, but it is 200% true. Developers love useful widgets. Flutter is offering a plethora of widgets for numerous flicks of convenience during the development of native apps. In late 2016-17, there were considerably fewer widgets, and in-app functionalities for Flutter. But the recent growth has been appreciable. There is a vast large pool of widgets which are readily compatible with any version of Flutter and help coders change appearances, easily edit and maintain modularity. Alongside, promoting development with Flutter can be highly uniform and shows no anomalies whatsoever in different OSs. When a developer uses React Native or Xamarin, they have their native UI which was a hindrance incompatibility and natural development. Flutter is offering a similar development ecosystem for all. While developing native mobile apps, many functionalities are involved from various native tools. It includes numerous vital features like camera, content layout, and screen position while working with all modules. This problem has been dramatically solved by Flutter. There is a precisely similar development space for both iOS and Android. Although, it is not recommended to mix up product information, there is a reliable functionality for the developers who are willing to connect their native code with the Flutter snippets with all convenience. Another exciting experience while using flatter is its high similarity with a typical hybrid development space that allows Android and iOS mobile app development without any differences. 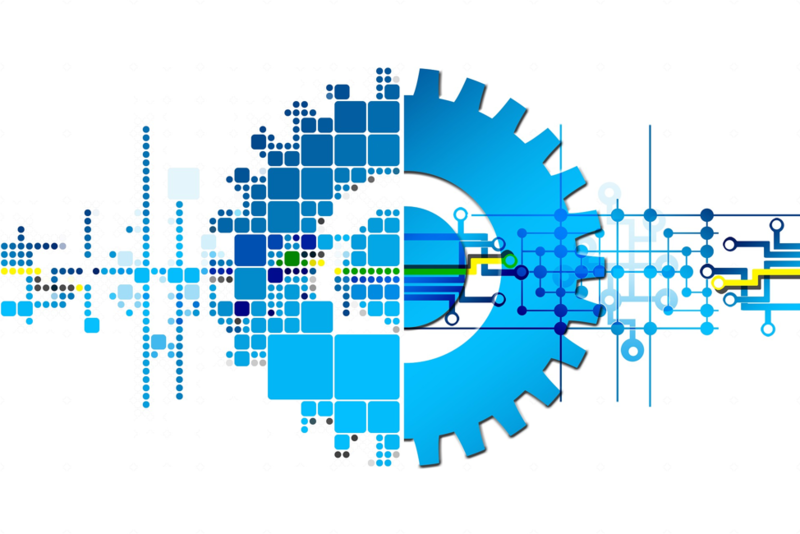 One of the best aspects of using development tools and platforms by tech giants is there surety of evolution and better practices along the maturity curve. Google is deploying a large contributor community for developing newer libraries and more useful widgets. It is an excellent motivation for the world to keep an eye on how Flutter evolved over this hour of changing trends. Flutter is a promising proposition for tech fraternity all around the globe. iPhone App Development companies have different approaches and a tactical eye towards programming. It is the versatility and the prime quality of Flutter to engage developers and solution architects from both camps of mobile app development: iOS and Android. Till now, the evolution curve of Flutter has exhibited growth exceedingly well. Now the onus is on the innovators to bring out the best of Flutter mobile applications to let companies and start-ups believe in the ability of this highly potent native app SDK. With maturing products and leading innovation, there will be an eye on how the content delivery system and other wings of mobile app development are integrated into Flutter. It is one of the significant aspects to be analyzed once Flutter matures to stability. Use of Smartphones have been increasing at an exponential rate across the modern world. Mobile applications have become an imperative part of mobile devices. A major population of the contemporary world is making use of several mobile apps for their everyday functions; mobile app development is considered a very critical process. Amid myriad mobile apps that are built and deployed, only a selected few succeed in gaining popularity with users and sustaining repetitive visits by them. It is those apps which solve specific problems of users and offer appropriate solution to the unique needs of users that finally succeed. To be able to come up with such winning apps, developers and entrepreneurs need to understand user behavior analytics and the information gathered from it. Understanding details such as who the target user of a conceived app is and their preferences and requirements is inevitable in building and delivering a successful app. Developing mobile apps is not like creating a piece of software. In order to come up with successful apps, you need to focus first on resolving the problem of a set of users. To be able to provide the solution, you must understand the target population at a granular level. 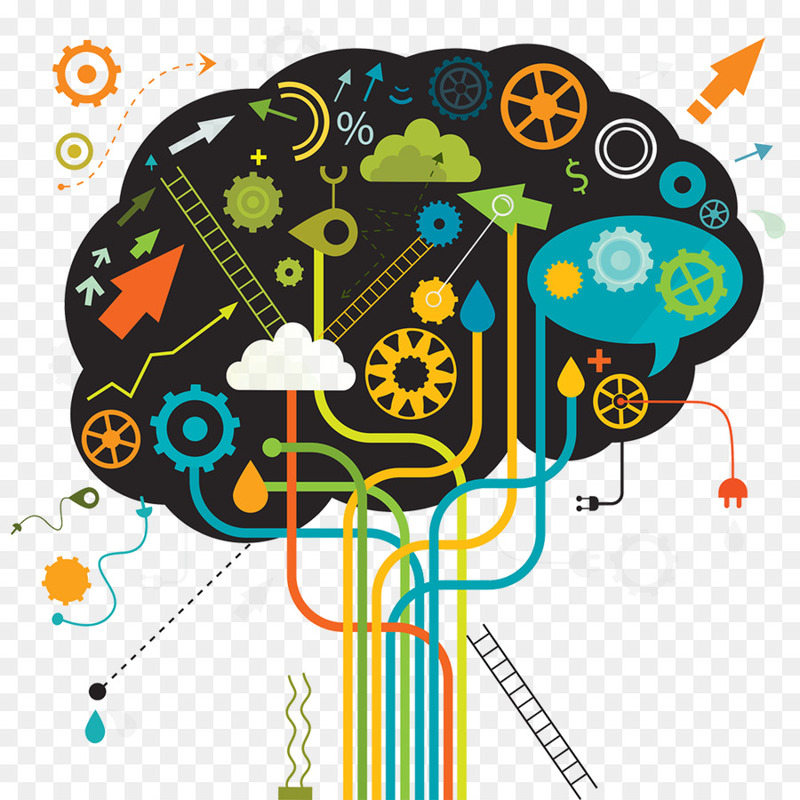 Users’ behavior and personality traits play a vital role in developing a mobile app that attracts and retains users. One way of discerning these factors is by checking the users’ choice of their Smartphone. Choice of platform among the two major players, namely, iOS and Android which are different in several ways, speaks a lot about users’ specific interests and behaviors. This choice indicates important factors such as whether users are concerned about pricing, whether they take interest in downloading, if they are prepared to pay a price for the app, whether they are loyal to some specific brand or not. Studies have clearly shown that iOS and Android put together account for over 99% of the total market share. While iOS users are found to be more willing to pay for apps than Android users, the number of targeted audience in Android is considerably more. Android app development companies and iPhone app development companies need to first decide which section of users they wish to target. If more number of users is the aim of the business organization or the app development company, then Android proves to be the best platform. On the other hand, if the intention is to earn money from the app, iOS platform must be the first choice. Users’ preferences and behavior are representative of their idea about the mobile device as well as applications. By running user behavior analytics in a professional manner, developers and the mobile app development companies may arrive at the right decision about choosing their app development platform. Market Share of Operating Systems: Android platform is seen to take up nearly 64% (two-thirds) of the mobile users market. While iOS app store includes over 2 million apps, Google Play Store has more than 3.5 million apps. User Preference: While building a mobile app, entrepreneurs and mobile app developers need to consider and understand clearly the interests and choice of users. It is to be noted here that iOS and Android have to be used for targeting entirely different group of users. While iOS is for users who can spend money easily to buy apps, Android is meant for people in the lower middle income group. If acquiring customer base is your agenda, you need to go in for Android while for revenue generation, iOS is the best bet. The Role Played by Device Capabilities: Smartphone users view their devices in a personal way. The difference in operating systems has a direct bearing on the user experience. This is one factor that influences choice of a particular OS by users. Apple’s iOS has stringent regulations for push notifications, timeframe for system updates and app submissions. In the case of Android, submission of apps may be performed freely and in customizable manner. User Demographics: It is well known that Android has more market share than iOS. Good user experience under affordable pricing is the main reason for this. Users’ preferences and spending habits play a vital role in deciding about which platform to make use of. 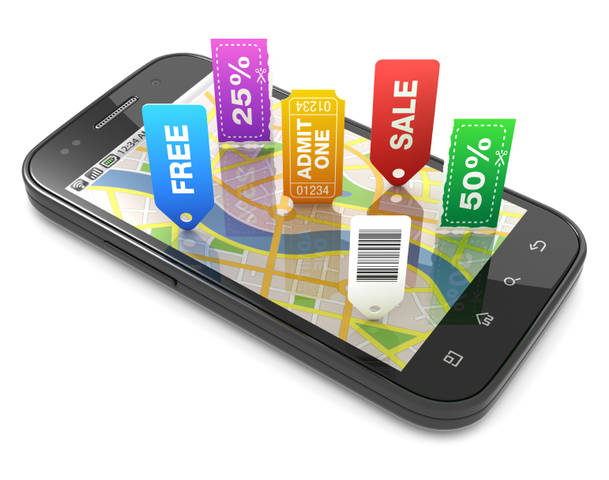 Income and location are a few crucial factors that need to be considered while creating a mobile app. Personality: Android users tend to be more thoughtful in contrast to iOS clients who are seen to be more of outgoing individuals. While iOS users prefer to be leaders, Android clients display humility and honesty and tend to be comfortable being followers. Personality differences are indicators of the types of apps preferred by users. App Engagement and Retention: One of the key factors that impacts the success of the mobile app, is considering the app engagement and retention while planning to build the app. It is common that iOS users are more likely to be engaged with apps and they also usually have higher retention. Android users being not so consistent with app engagement, developers have to face the challenge of building apps that enhance retention rate. Users’ Spending Tendency: Although the once large gap in consumer spend between Android and iOS users is witnessed to have become smaller, iPhone users are still making more purchases when compared to Android users. While iOS provides opportunities for generating revenue through paid apps, Android apps are seen to draw revenue from mobile advertising. Choosing the Right Platform for Your App: With each platform having its own specific characteristics and benefits, thoughtful consideration must be given to the most important factor that influences the success of the app ultimately, namely, the user. An efficient iPhone app development company must understand the needs of users and their problems at ground level and perform diligent user behavior analytics to be able to provide the perfect solution to users. 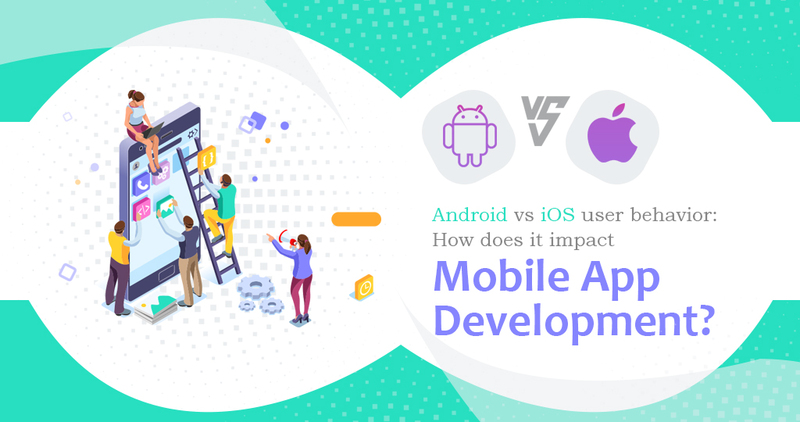 Depending on the purpose and objectives of the mobile app, developers and mobile app development companies need to choose the appropriate platform that helps monetize the mobile app in an efficient manner. 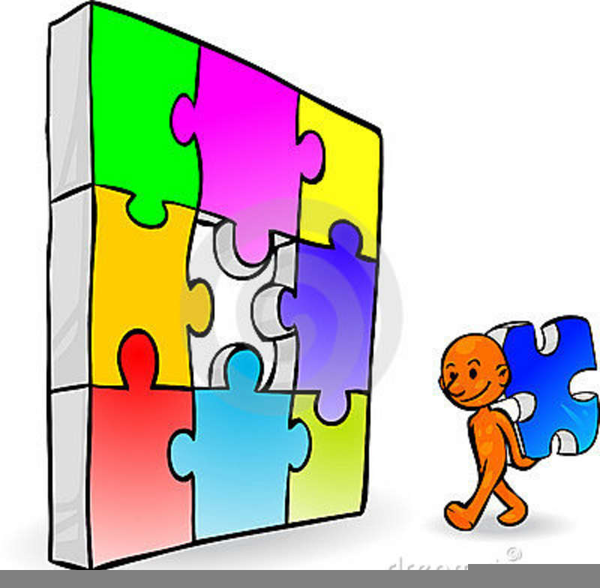 The decision should be fruitful for not only the business organization but also the user. Leverage the Power of Mobile Apps to Achieve Business Success! It is imperative that businesses adapt quickly with the latest developments in technology in the modern business environment. It is the period of time in which breath-taking advancements have been accomplished in digital applications – especially the mobile apps are literally taking the business world by storm. There’s no slowing down of the mobile app revolution. In fact, the number of business organizations that have started using mobile app development for their progress is still on the rise, necessitating efficient and reliable mobile app development companies. The need for Android App Development and iPhone App Development has been realized like never before. Amid tight competition and the focus on capturing market share, the most common requirement of business organizations today is gaining a competitive edge over others and interacting effectively with consumers. These objectives can be achieved by partnering with the best Android App Development or iPhone App Development companies. How Do Mobile Apps Help Entrepreneurs to Improve Their Business? Entrepreneurs are cashing in on mobile app development—be it android app development or iPhone app development—for taking their business to the next level. Mobile apps play a crucial role in the day-to-day life of a vast majority of people in the modern world. App Building- How Long is Correct? 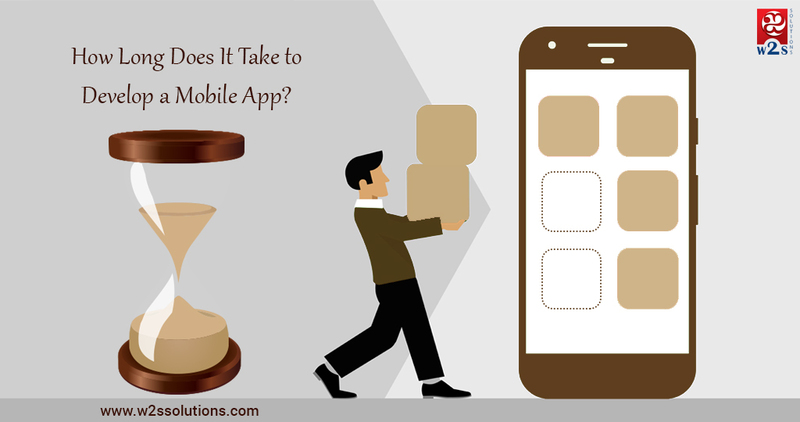 There is no specific time period required for creating a mobile app. The production process associated with mobile apps can be classified into two: the initial version building is based on your requirement and then the next phase when you add the special features and advanced functionalities to your app. The iPhones first came into the market in June 2007 and they have caused a huge change in the mobile industry. With the iPhone, came the iOS, which is an operating system that has now been put on a variety of products including iPods and iPads. As an iPhone Apps development company, we summarize the challenges faced when It comes for iPhone Apps development. It can’t be conveyed as hard stop challenges as these are made to increase User experience design, security and niche presentation offered by iPhone apps which is a cool differentiator between iOS and Open source app development technologies. Fashion and design will change frequently and this will affect your app. The apps have evolved significantly since their first release. From the material to the design, you will notice that your audience is interested in better and unique designs. The app developer will find it easier to battle with compatibility, but the path is not as simple as it sounds. First, you have to find out the definite versions of the iOS the application will support. 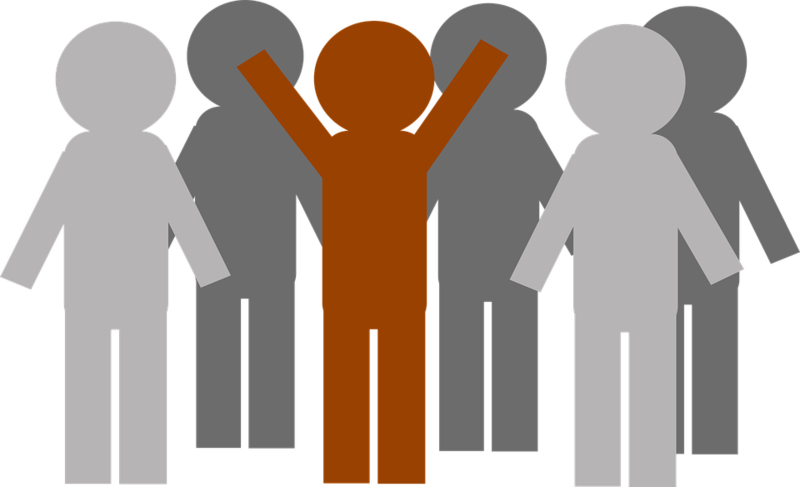 If you adopt newer versions, you will bring in more users. It is also important that the apps are compatible with gadgets, such as iPods and iPads. 3. Getting an approval from the iOS App Store. This has to be among the top challenges that iOS developers encounter with the latest trends. Once you develop an app, you cannot release it instantly. You need the approval of the Apple’s App store, which has set some rules to prevent you from going over the line. The rules keep changing and it is important to remain up to date. 4. Limited storage and memory. Some apps consume a lot of memory if the devices they are installed on have limited storage. These apps may discourage users from installing them. To avoid this, the developer has to take into consideration some of the demands of the app such as consumption of memory. 5. Security of the app. The security of the mobile application is very important. You should never miss it at any point while developing the app. If the data is not encrypted, the data can be breeched. For you to prevent your app from being hacked, you need to build a very strong security layer. This happens mostly in gaming apps. It happens where you develop an app but later on you come to realize that someone else is using the exact same ideas for their app. This will happen if your app becomes popular and it can be frustrating. To avoid these copycats, always ensure that your techniques and tactics keep changing. Though the speed of the internet is not a big issue, it can raise concerns when it comes to video download and other live stream services that may require the internet. If you have an app that requires the internet, you can adjust the quality of the video so as to reduce the consumption of data. You must test whether your app is functioning properly. It helps you see if there are any problems and in the removal of bugs if there are any. 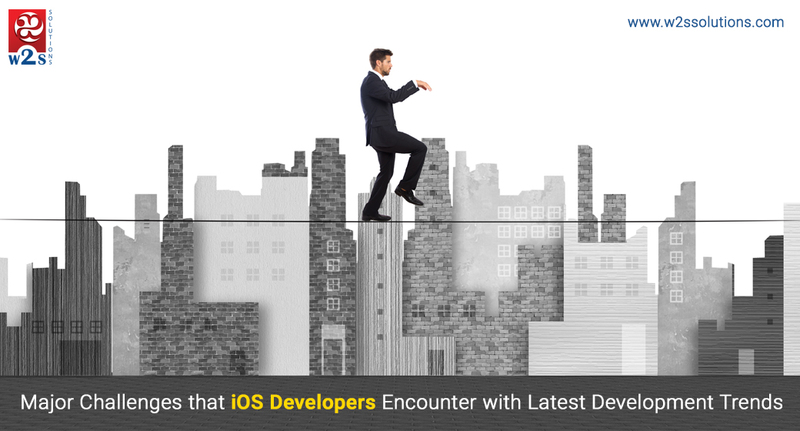 Are you Interested in knowing more about how these challenges can be resolved and how a great iOS app can be built. Apps development is our main offering and we are strong in building an app that solves these challenges. Reach out to us to discuss further. 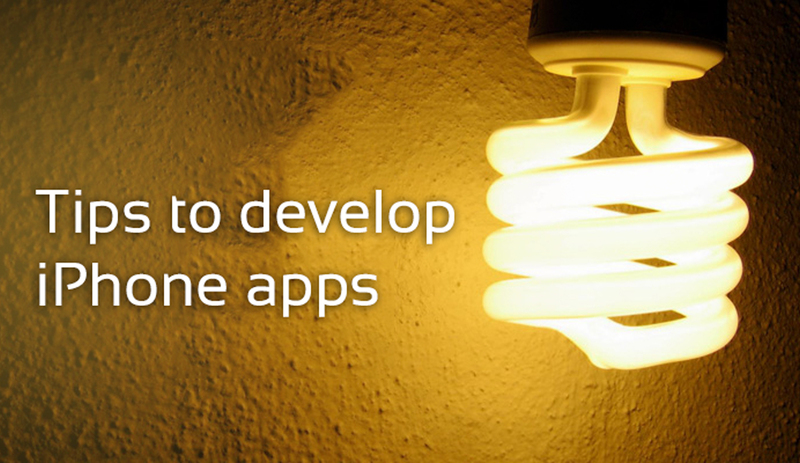 Also, if you have a different approach in app development, let us know and love to hear. Mobile marketing has taken the world of marketing communication by storm since the first Apple iPhone was released in 2007. It’s hard to believe that it’s been less than 10 years since mobile emerged as a new means of engaging with markets around the world. The ability to put information in the palms of the hands of the people they serve has provided marketers with a new means of engagement—couple those phones with powerful apps that can help them manage their lives, play games, interact with retailers, healthcare organizations, financial institutions and much more and they’ve got something powerful at their disposal. They just need to know how to and require rich apps and tools to engage with their users. That’s where W2S Solutions comes in. We’re a custom mobile application and web development company that thinks outside the box to build award-winning apps for small and medium sized enterprises (SMEs) around the globe. Since our launch in 2010 we’ve been singularly focused on helping SMEs leverage technology for competitive advantage! We’re tenacious: we won’t stop until we find a solution for whatever our clients need. And we’re very good at what we do! We don’t expect potential customers to simply take our word for it, though. We think we do great work, but it’s always good to have others validate our beliefs. That’s what Clutch, a research firm based in Washington, D.C, offers us—third party perspectives on the value we provide which is gratifying to us but which, better yet, sends a strong signal to potential customers about the quality and scope of our services. 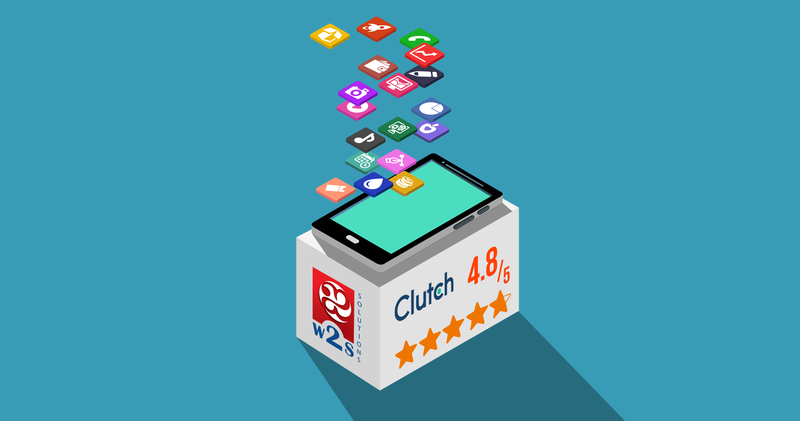 Clutch reviews hundreds of agencies in the digital and content marketing space and selects those to profile on its web site based on their ability to meet client needs. 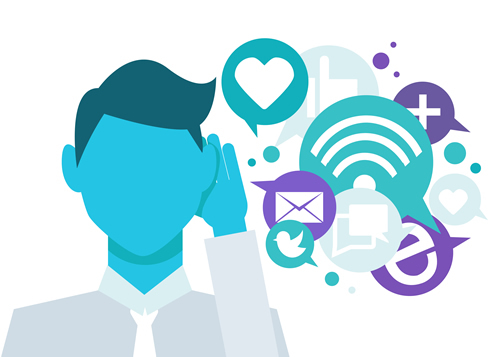 Their selections are driven not only by what they see on companies’ web sites, or what companies have to say about themselves but, most importantly, by what these companies’ customers have to say about them! We’re proud of our 4.8 (out of 5) star rating. Our Clutch profile offers potential customers a thorough summary of our services, including detailed charts showing prospective clients which industries we serve, a list of some of our clients, and a sense of what it’s like to work with us. 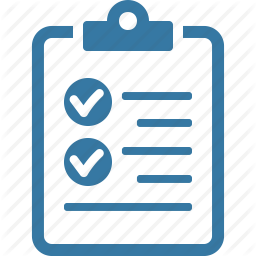 If you haven’t already, we invite you to take a look at our profile; we’re interested in what you think! W2S Solutions, one of the fastest growing mobile app development company having it’s presence / branches in Chennai, US and Canada. They are focusing on Enterprises applications and Edufin Expenz is their recent launch in app store. It is available in Android and iOS for free download. Expense management is one the key factor for ROI, and it’s a process managing expenses in different life cycle of a business. 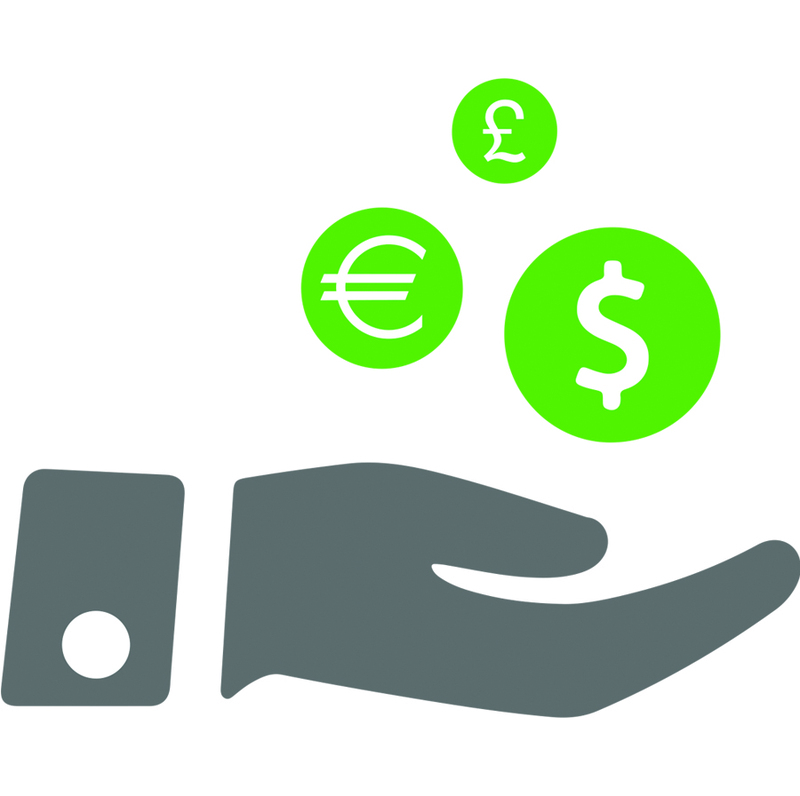 Edufin Expenz will help enterprises to manage the expense process effectively. 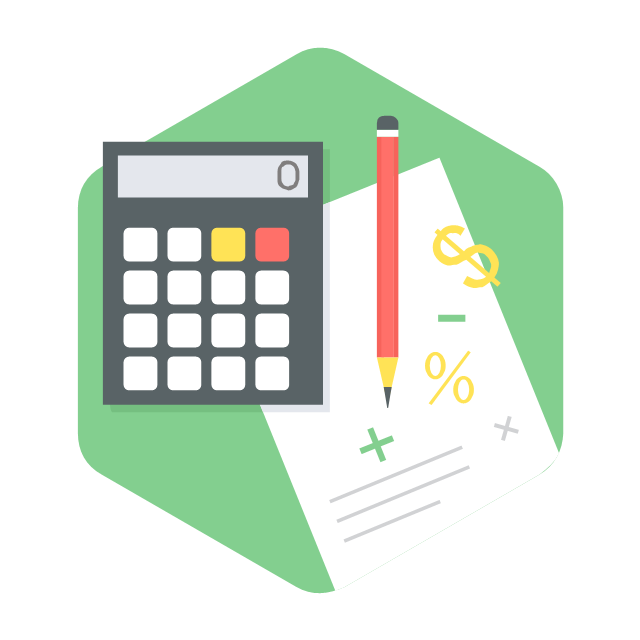 Budget planning and Allocation: Expenz opens a wide window to spending and provides insight to enterprise’s wide expenses. 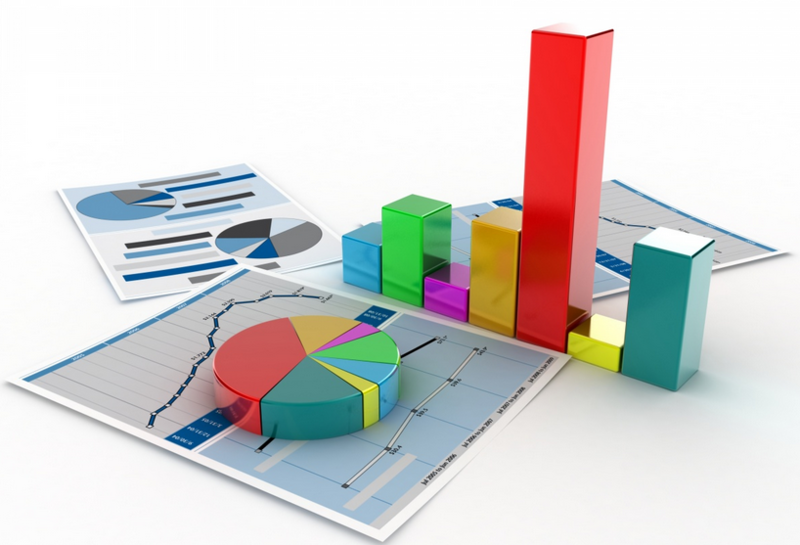 It enables organization to plan and allocate annual expense budget for their different departments and business units. 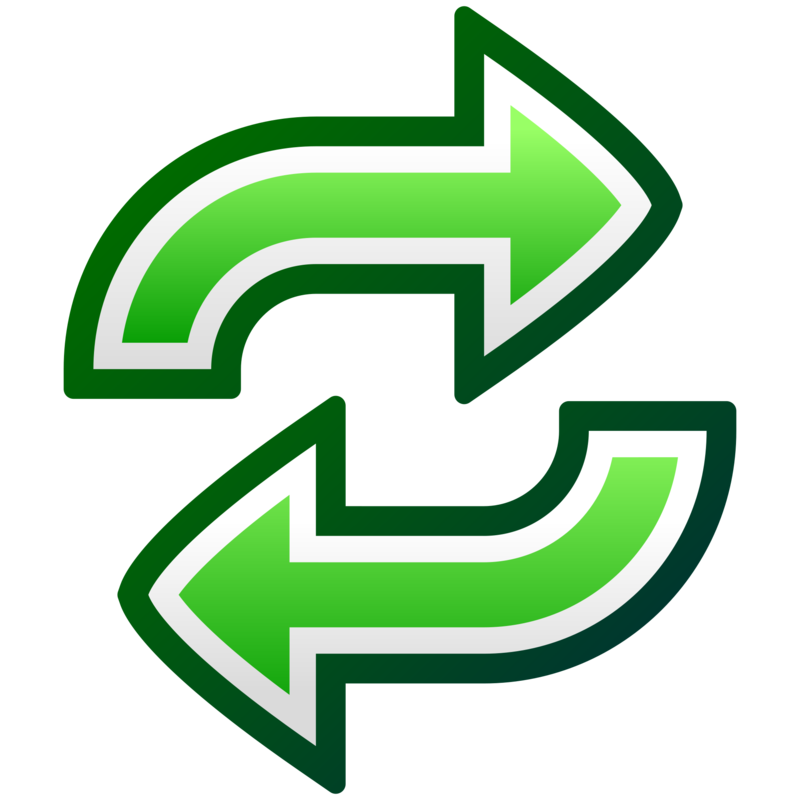 Simplified Reports: It uses mobile phone to scan the receipts, capture the data, autofill expense fields and submit travel receipts, expense reports can be viewed online and get the instant approvals on your mobile or via a web-browser. 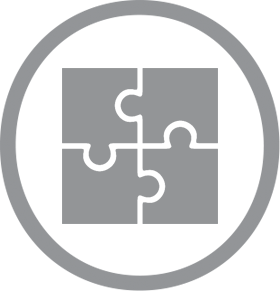 Expenditure Control: Take control of what and where you spend. EXPENZ provides you accessibility to know where your money is going and offers capability in organization to control specific expense instances within individual department or business unit. 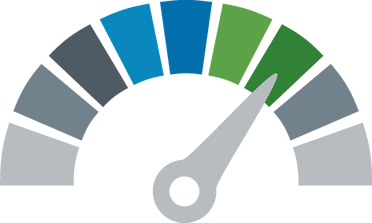 Define Expense Policy: You can set the level of enforcement, incorporating your company’s policy such as spending limits, per diems, mileage rates. EXPENZ helps you to define company’s policy along with rule-based approval workflow that enables employees to spend within company’s policy and helping organization to control expenses and save time. 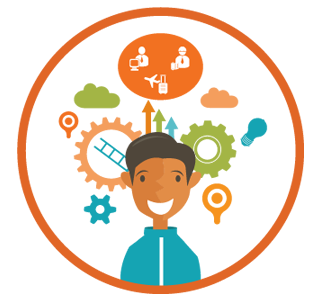 Integrate Expense Report: EXPENZ seamlessly integrates the reports to Microsoft Dynamics and Quickbooks. It can also integrate expenses with critical systems and standards with your existing business systems including other accounting, payroll, and CRM systems to meet Company’s on demand expense reporting and accounting management needs. EXPENZ provide deeper insights across the core and supporting functions within an enterprise, focusing on the key expense reporting processes. It collates the information via web and mobile apps across the different departments for decision makers.